Potter trail was formed in 2012, they are the trailblazers, thus having more reviews from happy customers. 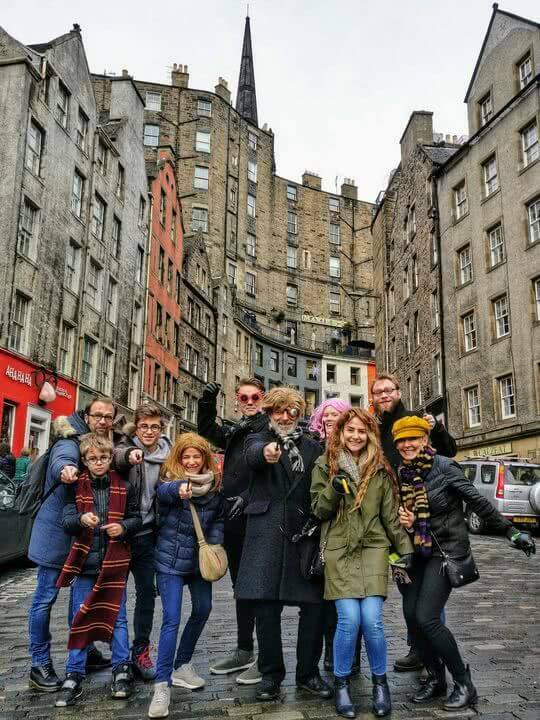 Potter tour formed 2017, and I love every last one of my reviewers from their eyebrows up. Potter trail has won awards from Tripadvisor for a high number of good reviews. I have 0.0 awards. Liking for Quidditch 100%. Don't get me started on Gobstones though. I'm the newer player, I have to fly a bit harder. Potter trail is 75 minutes with a flatter route. Less walking arguably makes it better suited to those who are disabled or who have a casual interest. I have 'The Complete Potterhead' a 5ish hour activity tour for witches on a pilgrimmage. My tours are longer, I like reviving the magic sure, but I love what Rowling's life has to teach. Potter trail is fun and Funny. I hope to provide something useful, perhaps inspiring and worthy of spending more time on. I want to make memories, laughter is satisfactory. Potter tour's longer tours take in many more sights. However Potter trail includes the underpass inspiring the Dementor scene from the Order of the Phoenix, Favourit cafe and many ghost stories I don't. These are all good things. According to Will, one of the Potter Trail guides, I have "nice robes". Never has Sam been complimented by a wizard â€” like an equal! Bless you master William. Master has nice robes too. OK well Sandemans are a multinational based in Germany? Spain? They have an excellently rated historical tour and a well paid executive class. Too often their 'serf' guides, paying Â£3 per head for each customer, earn less than the legal minimum wage. Is it run by Grindelwald? No. My tours are run by me. I'm pretty bad too. If you do a quiz on my blog like this, you can see I probably idolise Alan Rickman too much. But he's just sooo silky. More Rowling, more of the city that inspired her, more magic, more memories. Lions tigers and bears oh my! What do we want? Elf liberation. When do we want it? Now! What happens when Britain's biggest mystery, fantasy, childrens, literary novelist philanthropist meets the most seductive & demonic restaurant there is? 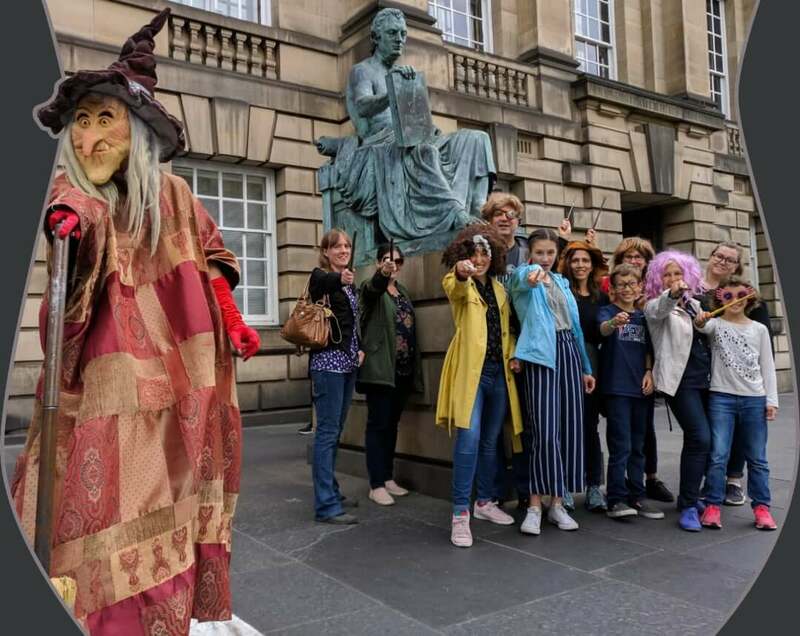 A class wraps up outside City Chambers before Alexander the Great taming his horse Bucephalus. Goodbye friends! 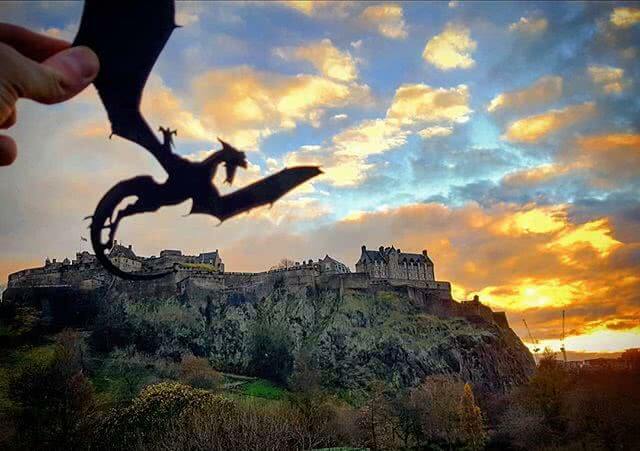 What's your experience with Edinburgh's 'Harry Potter' tours?